Canaries and coal mines. The Arctic and the Antarctic. We will inevitably have to suffer the hysteria of the warmenistas if Arctic ice falls to a new low this summer, which looks possible. Of course, it tells us nothing about the attribution of the ice loss, which could be contributed to by a thousand other things as well as anthropogenic warming. The Antarctic Peninsula is one of the most rapidly warming regions on Earth — records since 1958 suggest warming of around 3.5°C per century. 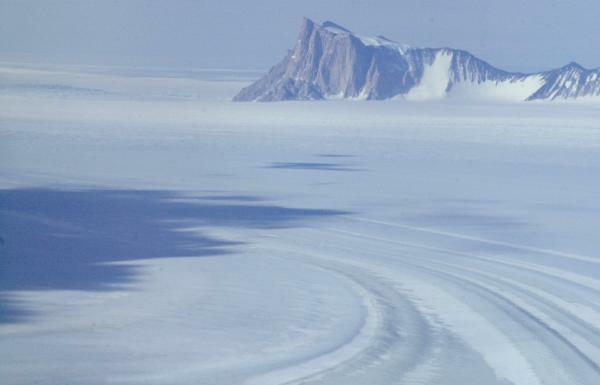 But long-term climate data has been unavailable because of the logistical difficulties associated with finding good ice-core sites, says co-author and palaeoclimatologist Dr Nerilie Abram, of the Australian National University. “What the ice core showed was that this site started warming 600 years ago — well before the Industrial Revolution — so there was a natural climate cycle that meant this area was warming naturally,” says Abram. The researchers say the ice core records also show that the warming has accelerated rapidly over the past 100 years. They describe this warming “unusual (but not unprecedented) in the context of natural climate variability over the past two millennia”. In an accompanying editorial, glaciologist Dr Eric Steig, says it is possible to postulate the ‘null-hypothesis’ that the warming on the Antarctic Peninsula is happening independent of recent global warming trends, but that this is highly unlikely. “The rate of recent warming at James Ross Island is highly unusual, falling within the uppermost 0.3 per cent of all century-scale temperature trends of the past two millennia, which would compel us to reject the null hypothesis with confidence,” writes Steig, professor of glaciology at the University of Washington. Steig says the peninsula serves as a sort of mine canary for the rest of the continent. Read it here. Abstract here. The peninsular is a geologically active region.